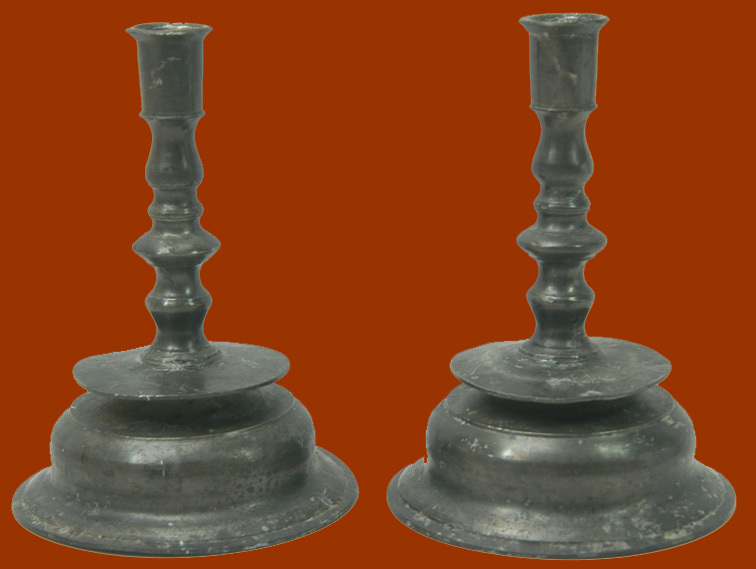 Very rare, very early pair of low-bell, knop stemmed pewter candlesticks. These unmarked sticks are 6 1/2" tall, have low, hollow bell-shaped bases, flat drip pans, and simple turned stems with straight, slightly flared candle cups. 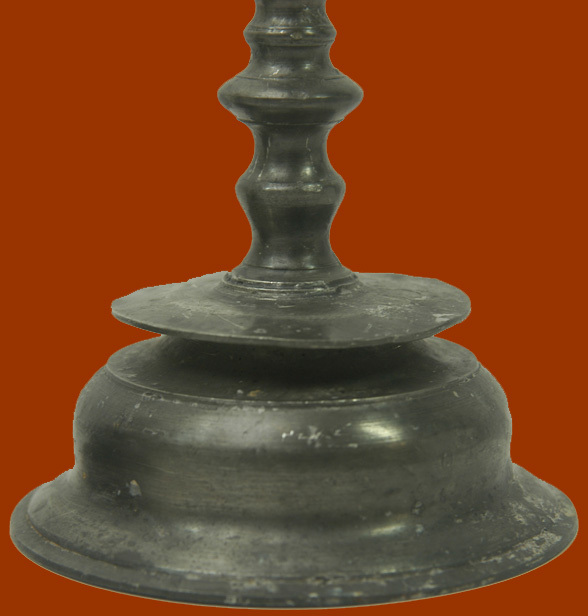 These low-bell candlesticks were made from the early 16th into the mid-17th centuries. Far more brass and bronze examples can be found today, probably because the harder alloy of brass and bronze added to the longevity and because 18th & 19th century folk often sold old pewter pieces to be melted down and reformed into new pieces by master pewterers. 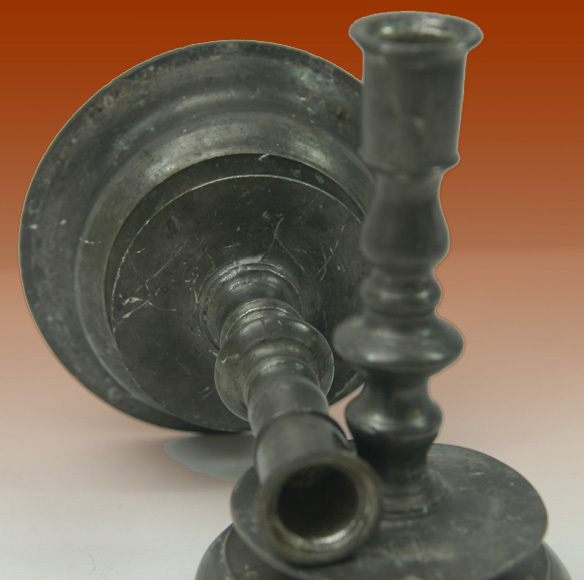 The shorter, flatter knop on these stems date these candlesticks to circa 1650. 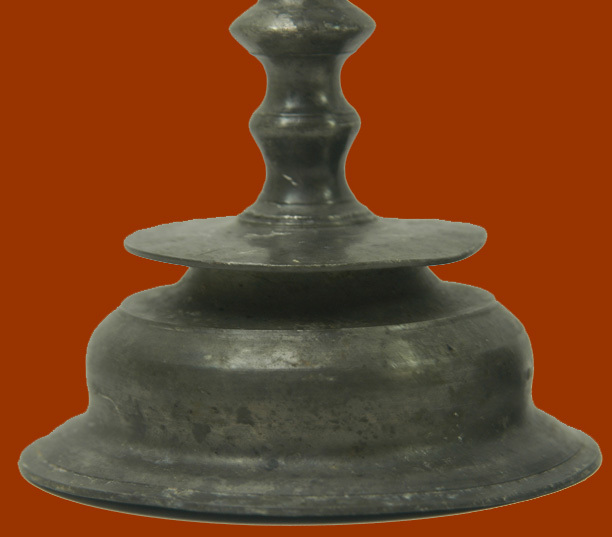 The bell base and drip pan were cast as one piece, the stem & candle socket cast as another. The two pieces were attached by a screw-thread cast into the stem which screwed into a threaded hole cast into the drip pan and base. 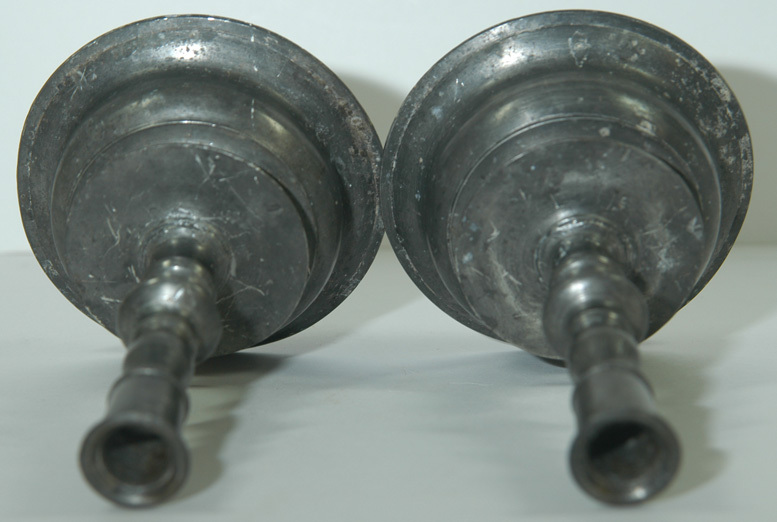 Overtime, the screws were soldered shut--a usual repair made in these old candlesticks. These candlesticks are in marvelous condition for being more than 350 years old! 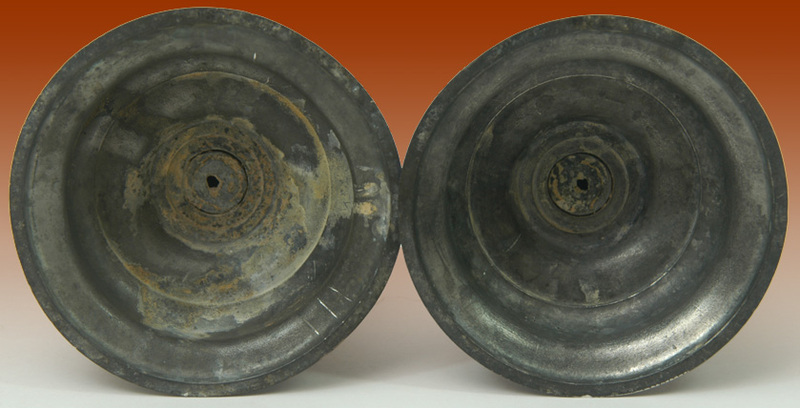 The drip pans have a bit of a wave to them and there are numerous shallow scratches in the wonderful mellow patina. 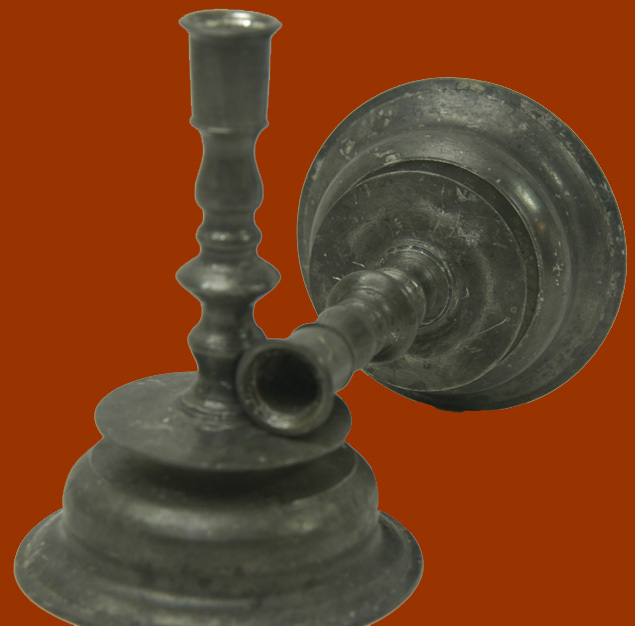 These are a must have for collectors of pewter candlesticks or any early lighting! Continental. Michaelis, Ronald F., Old Domestic Base-Metal Candlesticks, Antique Collectors Club, Suffolk, UK (1997). 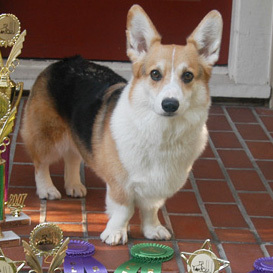 62-70.